We Asian are obsessed with fair and white skin, especially Malaysian. There's a report made in Malaysia concluded that three quarters of Malaysian men thought their partners would be more attractive if they had lighter skin complexion, a beauty standard they call the “Pan-Asian look”. Don’t believe me? Ask the men around you. However, living in our tropical country, we can't escape from the sun. We are exposed to sunlight most of the day. Overtime, our skin can begin to experience hyper-pigmentation or our complexions can start to look a bit dull – hello freckles, sun spots, and acne scars. Hence, it is important to apply a good sunscreen protection daily. However, if you want to achieve radiant luminous skin, using whitening skincare products can give you the extra glow. I recently discovered NUViT, a skincare brand that specializes in delivering highest quality and effective skin care product by incorporating advanced clinical technology with natural plant based extracts. 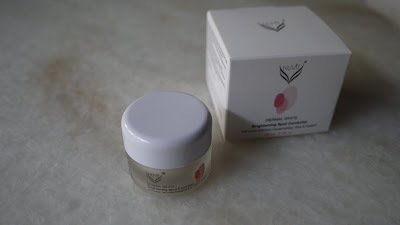 Since I am into natural plant based skincare, I decided to give NUViT Dermal White series a try. 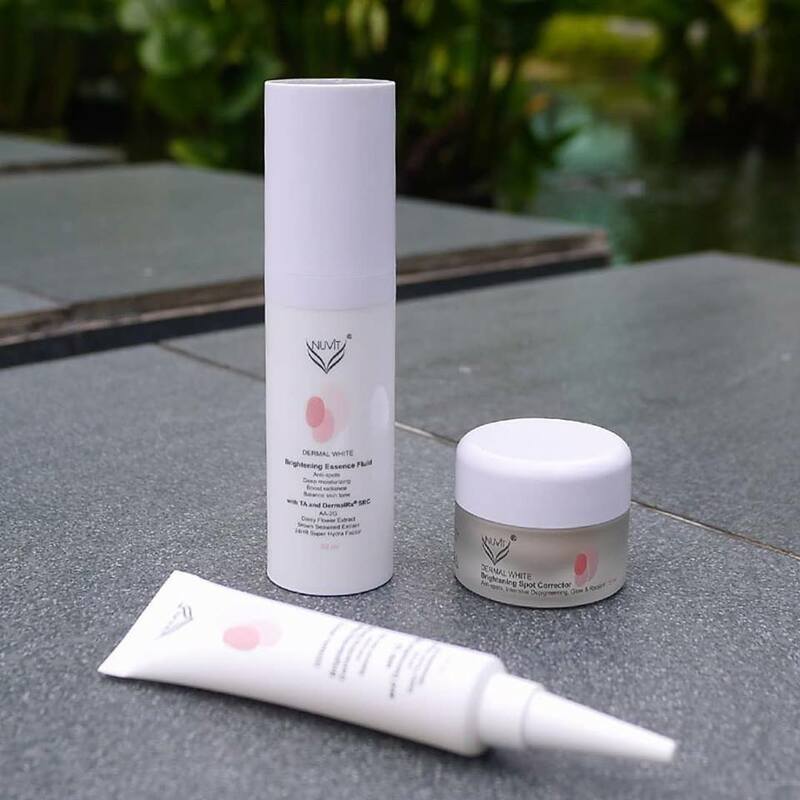 NUViT Dermal White skincare series uses 3 simple principles such as SPOT, ENTIRE and ENHANCE to achieve depigmentation efficacy. The main ingredient of NUViT Dermal White skincare series is B-trans5™. Targeting skin dullness, uneven skin tone and dark spots, B-trans5™ has a unique combination of formula to effectively inhibit the formation of melanin, repairs skin and has high antioxidant capacity. It brightens, evens, and makes skin complexion flawless. B-trans5™ contains 3% tranexamic acid, AA-2G, Vitamin B3, daisy flower extract and vitamin E to fully inhibit, desalinate, and reverse the formation of melanin. These can effectively prevent spots formation. NUViT Dermal White Brightening Spot Correcting Serum is incorporated with the patented Tetrapeptide-30 in the formula. It helps in spots reduction and skin brightening. Apart from that, it offers instant and over time correction on existing spots, scars and acne marks. It also removes dull skin caused by inflammation and dryness. 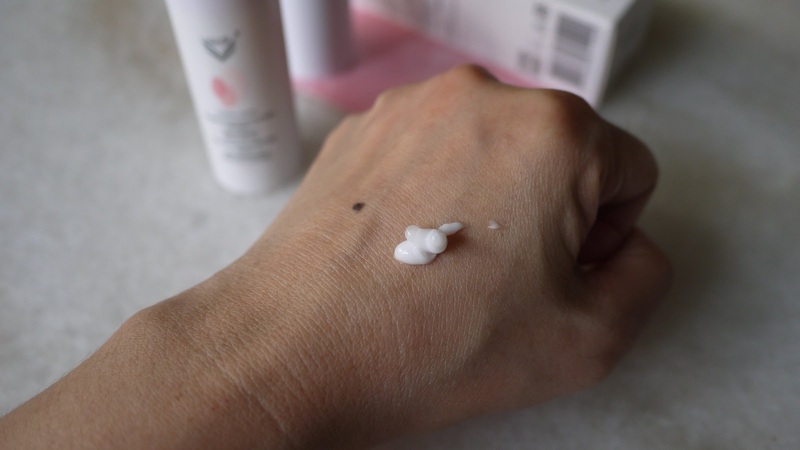 The product comes in a tube form, which made it easy to squeeze out the amount we need. 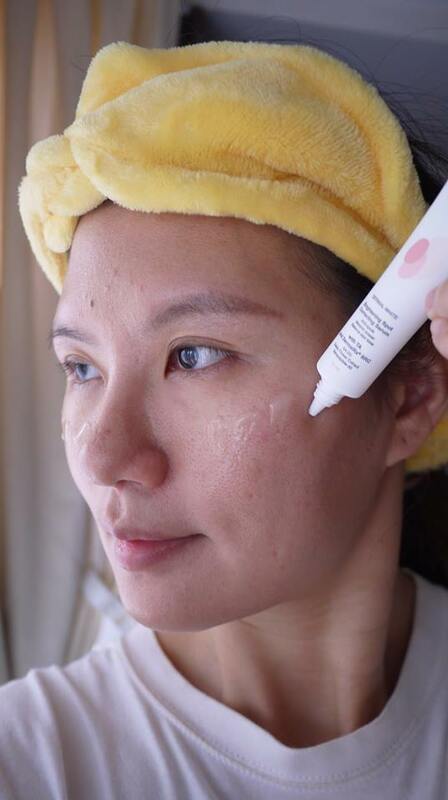 After cleansing your skin, apply the spot serum on the targeted areas every morning and evening. 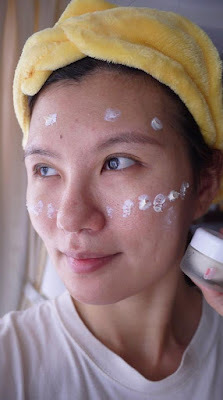 Dab and let it fully absorb before apply other skincare products. The texture is like an emulsion it sinks into your skin immediately. I like that it has a pleasant floral scent. I have been applying it on the dark spots on my cheekbone area. After 2 weeks now, the obvious dark spots have become less visible. Brightening Essence Fluid contains Dermal Rx® SRC, a mild keratinocytes metabolizer that brightens skin rapidly. This product has strong moisture retention and skin repairing properties after sunburn, making it excellent in preventing dark spot deposition. It helps in instant whitening, skin repairing after sunburn, and provides long-acting moisturizing effect. Comes in pump dispenser bottle, which is more hygenic and convenient to use. 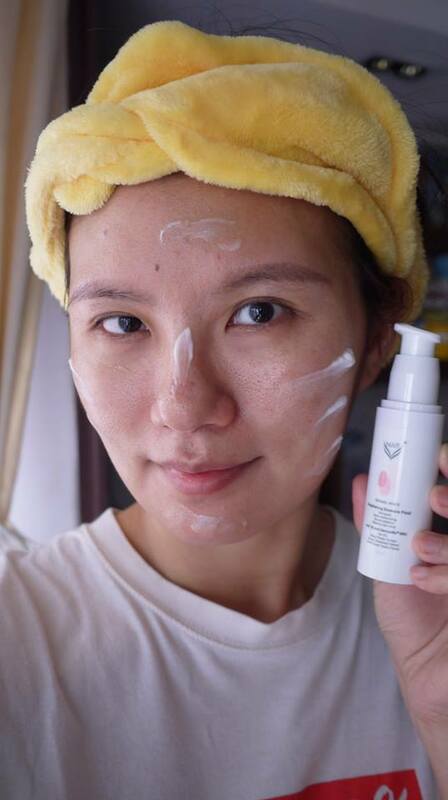 After cleansing, apply on the face and neck, morning and night, to balance the entire skin tone. The liquid texture is easy to absorb into my skin. I like the refreshing floral scent thanks to the daisy flower extract. 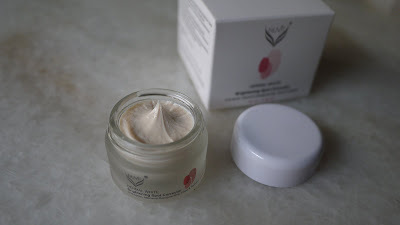 My skin feels comfortable, soft and smooth after applying it. 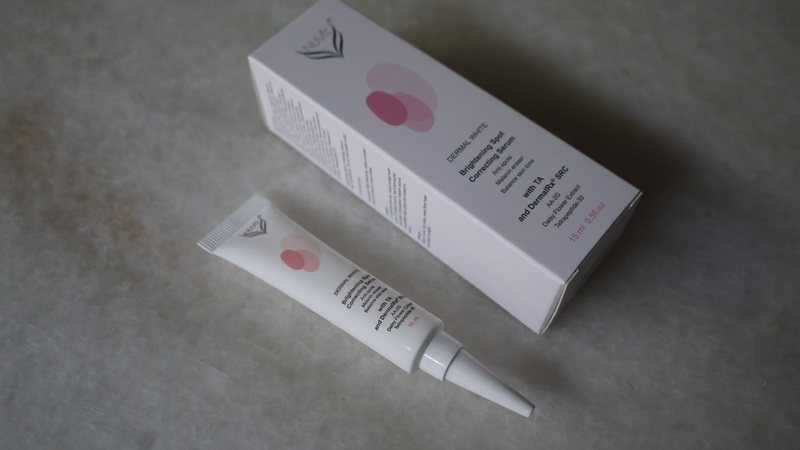 I have been applying it on my entire face and neck after Brightening Spot Correcting Serum. After 2 weeks now, the skin around my face and neck has a more even tone and looks brighter too. Brightening Spot Corrector corrects and evens skin tone while reducing UV ray damage towards skin. It also has strong moisturizing property towards dry hypoallergenic skin. Able to instantly fix uneven complexion, reveal clean and glowing tone. It protects against UV exposure, prevents uneven skin tone and spots. NUVit Dermal White Brightening Spot Corrector comes in a glass jar. After cleansing, apply a proper amount of cream to spot areas. The texture is a dense cream in light beige color. However, the cream is easy to absorb, and it smoothen my skin after absorbing. Unlike the other 2 products, Brightening Spot Corrector is not scented. 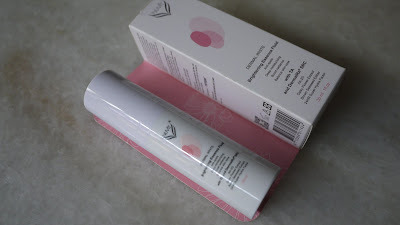 I have been applying it on my dark spots after Brightening Spot Correcting Serum and Brightening Essence Fluid. After 2 weeks now, the dark spots are noticeably lighter. NUViT Dermal White Series are versatile to be use on different skin concerns. Meticulously handpicked ingredients, embraces your skin to enhance its re- generation. 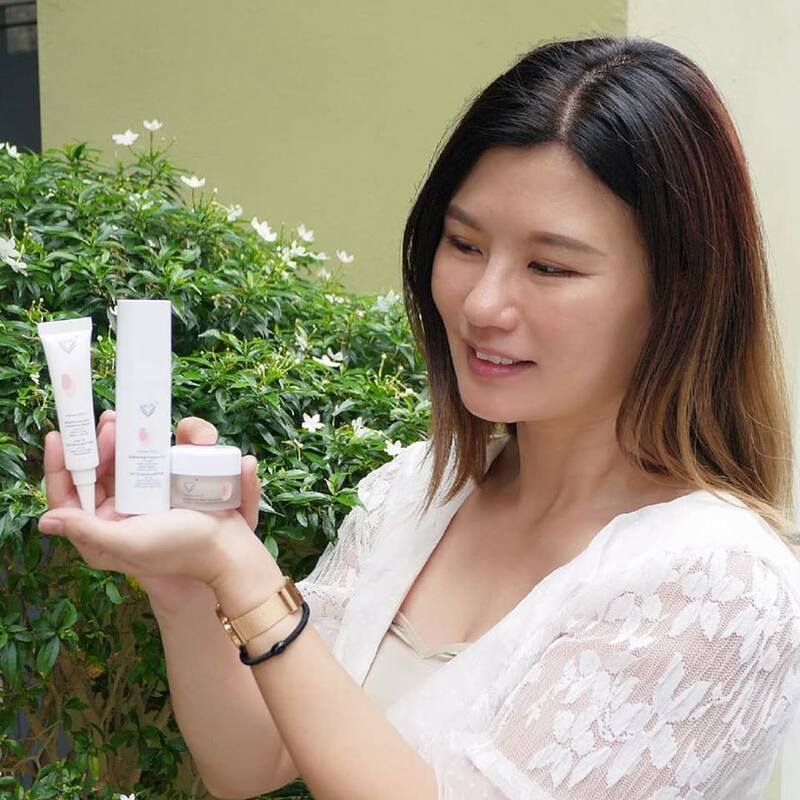 Overall, I am happy to achieve brighter, lighter, and more luminous skin with NUViT Dermal White Series. 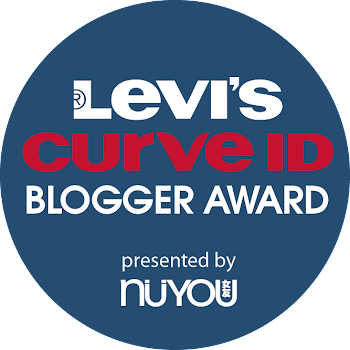 For more information, visit NUViT Website | Instagram account | Facebook Page. Makin kita berusia ada la keluar dark spot kat muka. Tengah nak mencari juga produk untuk masalah ini. Boleh la saya try nanti. I never know about this product. But i think the product was goood to try..
Wahhhh, nowadays got so mang kind of skincare. People are really take good care of their skincare routine. who doesn't want flawless skin, right? comelnya packing dia. Zaman sekarang memang orang teruja untuk nampak putih cerah. cuma kena pastikan produk yang digunakan sesuai dengan kulit wajah. never heard of this brand and try out this products.. looks great from your review.. tempted to try it out! Hahaha its true.. Most of Malaysian obsessed to look fair and beauty. By the way this product looks great and must get it. First time dapat tahu mengenai produk ni. Dark spot tu betul-betul menarik perhatian I. This product look good because it free from chemical.The packaging look nice too.I would like to recommend this to my mum. She might be happy. Hai Rane, you dah cantik pun pakai lagi, kalau pakai bertambah cantik lah nanti. wow seem like good result...the sun in msia is too hot we all need whitening..
Heard This product before but never tried it.maybe next time . Love the result .